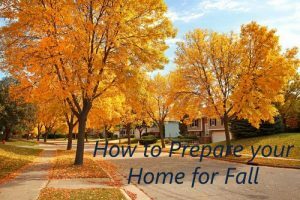 How to Prepare your Home for Fall - Disaster Restoration Services, LLC. -Check for drafts around your home. Start by checking the caulking seals around windows and check how your door areas are holding up. The easiest way is to use a candle and to see if it flickers a lot near window or door areas. Re-caulking drafty areas along with investing in heavy drapes or floor draft stops can really help save on your home heating costs. Programmable thermostats are also a great way to help reduce home heating costs if you set them to the times you are home and would like the house warmer. Turning the heat off completely during the cold season could lead to pipes breaking which could lead to water damage. -Test your Fire Alarms and Carbon Monoxide Alarms. Replace the batteries or alarms if necessary. -Check that your fire extinguishers levels are full and that they are not expired. -Take a look at your roof. Are shingles missing? damage? or loose? Does it need to be replaced? 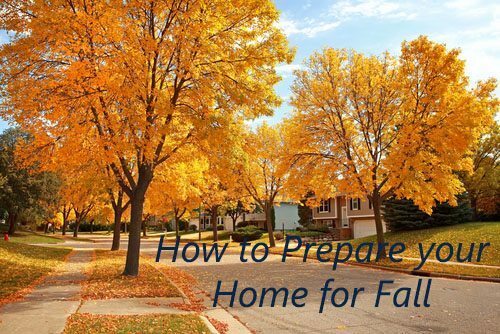 Fixing these before winter are a crucial way to cut down on potential disasters that could occur to your home. -Turn off outside faucets and unhook the hoses. Drain the hoses of all water and store them in a dry spot. -Service your sprinkles and or your irrigation system. Make sure that they are winterized properly. -Now is a good time to service the snowblowers, generators, and other equipment that will be necessary for the winter. If you need any roofing, siding, window installation give DRS a call at 877-280-7961.